Kick off your visit on the 6th (Sun): take in the spiritual surroundings of St Paul's Cathedral, look for all kinds of wild species at St Kilda beach, and then look for all kinds of wild species at Damper Creek Reserve. For maps, reviews, traveler tips, and other tourist information, you can read our Melbourne online travel route planner . Lisbon, Portugal to Melbourne is an approximately 26-hour flight. You can also do a combination of flight and train. The time zone difference when traveling from Lisbon to Melbourne is 10 hours. When traveling from Lisbon in January, plan for much hotter days and somewhat warmer nights in Melbourne: temperatures range from 32°C by day to 17°C at night. Finish your sightseeing early on the 6th (Sun) to allow enough time to travel to Sydney. You'll explore the less-touristy side of things at Balmoral Beach, Mosman and Speed Boats Tours. You'll enjoy a bit of beach vacationing at Bondi Beach and Clovelly. There's much more to do: stroll through Bondi to Coogee Beach Coastal Walk, discover the deep blue sea with a scuba or snorkeling tour, take a stroll through Darling Harbour, and snap pictures at Sydney Harbour Bridge. 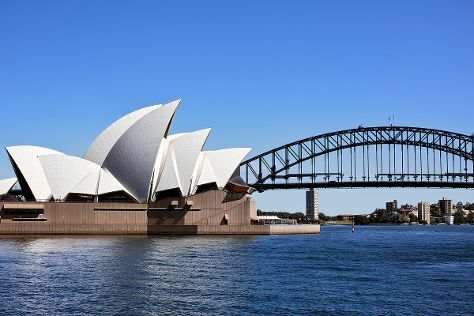 To find traveler tips, more things to do, photos, and more tourist information, use the Sydney online journey planner . You can fly from Melbourne to Sydney in 3.5 hours. Alternatively, you can do a combination of shuttle and flight; or drive. Traveling from Melbourne in January, expect a bit warmer with lows of 23°C in Sydney. Wrap up your sightseeing on the 9th (Wed) to allow time to travel back home.